A new generation of Chinese ETFs with exposure to once-restricted A-shares has invaded the U.S. marketplace. These funds invest in mainland Chinese companies. The resurgence in emerging market stocks this year has been led by Chinese shares. But China can be a confusing place to invest and the regulatory climate has created a maze of choices and opportunities. Currently, the Chinese government restricts investments in A-shares, which trade in Shanghai and Shenzhen, to domestic Chinese investors and Renminbi Qualified Foreign Institutional Investors (RQFII). As a result, most Chinese mutual funds and ETFs do not currently have A-Shares exposure. For example, the iShares China Large-Cap ETF (FXI), with almost $8 billion in assets, is one of the most popular U.S. listed Chinese equity ETFs. But the fund owns Chinese companies that trade on the Hong Kong Stock Exchange. And while Hong Kong is part of China today, it maintains a separate currency, regulatory governance and provides no restrictions for foreign investors. For these reasons, Hong Kong stocks are usually classified as a developed market by index providers. However, a new generation of Chinese ETFs with exposure to A-shares have invaded the U.S. marketplace. 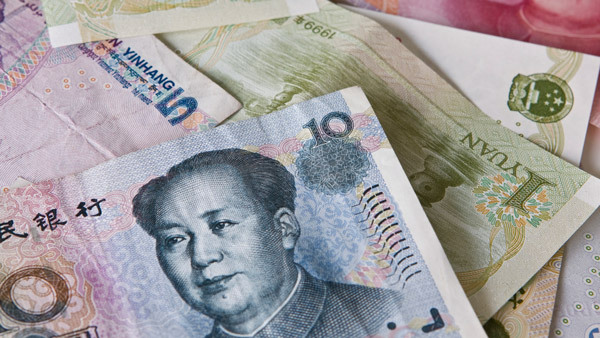 These types of funds own Chinese companies that are incorporated in the mainland and traded in Shanghai or Shenzhen in China’s official currency, the renminbi (RMB). The opportunity set is very different from investing in Chinese ETFs that use ADRs or Hong Kong listings for their market exposure. Let’s analyze five Chinese ETFs that invest in mainland companies. Launched in November 2013, ASHR was the very first U.S.-listed ETF to provide direct exposure stocks located on China’s mainland. The fund owns 300 of the largest and most liquid stocks in the China A-share market. Financial stocks (41%) represent the fund’s largest industry sector and the $1.2 billion fund charges annual expenses of 0.80%. This recently launched fund tracks the MSCI China A International Index, which contains large- and mid-cap Chinese securities listed on the Shanghai and Shenzhen Stock Exchanges. KBA charges annual expenses of 0.85% and competes with ASHR. The fund is co-managed by Bosera Asset Management, headquartered in Shenzhen and one of China’s largest money managers. This fund is linked to the China Securities 500 Index, which tracks 500 small-cap companies listed on the Shanghai and Shenzhen stock exchanges. ASHS has soared 107% over the past year and charges annual expenses of 0.80%. CHAU made its debut in mid-April and offers 2x or 200% daily leverage to the CSI 300 China Index. If you’re aggressively bullish on China’s mainland companies, this fund is packed with the sizzle you seek. CHAU’s net annual expense ratio is 0.95%. A liberalization of capital markets in China is currently underway. For U.S. investors, the introduction of China A-Share ETFs offers affordable exposure to a completely new market with low correlation to developed market stocks and plenty of upside. Although China is still ruled by a communist regime, it’s slowly embracing a capitalistic attitude. Ultimately, China’s leadership recognizes that to remain relevant on the global scene, it needs foreign capital investment. — Check out Why Bond Bears Are Wrong on ThinkAdvisor. Who Are the Top Active Managers of 2019? On May 1, winners of the Envestnet and Investment Advisor Asset Manager Awards will be named during the platform provider's annual advisor conference.